We're only 24 days away from the release of Taylor Swift's much-anticipated new album, 1989, and her BFF Lorde isn't making the wait any easier! In August, just a few days after the release of the album's lead single, "Shake It Off," Lorde called 1989 "joyous" and a "great record." High praise, indeed. But on Monday, the "Royals" singer took her hype game up a notch when she revealed on Instagram that listening to 1989 makes her "flail around wildly/smile like a crazy person." If you're having a little trouble imagining Lorde, Princess of Darkness, doing either of those things, you're not alone — but that's precisely why this news is so exciting! Apparently, the music on 1989 is so good, it can make even the reserved, mature-well-beyond-her-17-years Lorde break out into a spontaneous dance party. What an endorsement! I need to hear this album. What's a person gotta do to get invited to one of Swift's listening parties/cookie-eating extravaganzas? Dang. So, what prompted Lorde's latest 1989 love fest? Friendship, of course. On Monday, Swift posted a cute little tribute to Lorde's new Hunger Games soundtrack single, "Yellow Flicker Beat," on Instagram. Flattered, Lorde responded by gushing about what a supportive friend Swift is, and then shared that 1989 make her absolutely lose control. I love it. 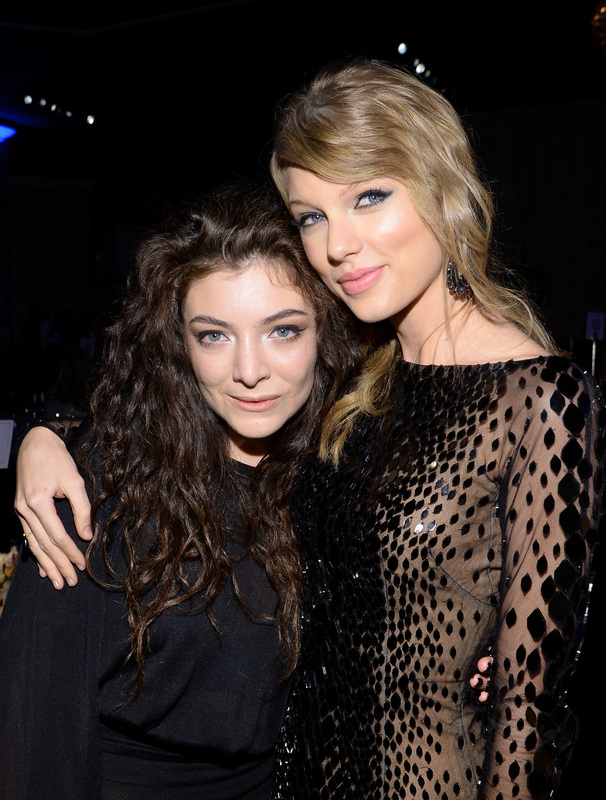 Is Swift's passion for awkward dancing beginning to rub off on Lorde? Just a little bit? It certainly seems that way. I, for one, am into it. We all need to let loose every once in a while — even if it means frightening Jason DeRulo. Honestly, Lorde's 1989 hype is a double-edged sword. On the one hand, I'm like, "OMG THE NEW ALBUM SOUNDS SO GOOD." On the other hand, I'm like, "OMG THIS MAKES AN ALREADY AGONIZING WAIT EVEN MORE UNBEARABLE." Ah, the struggles of being a pop music fan. One thing's for sure: When I hear 1989 for the first time, you better believe I'm going to be bustin' out some pretty sweet (read: terrible) dance moves of my own. It's going to be amazing.